You are here: Home / Baseball / To Bunt, Or Not To Bunt…THAT Is The Question! To Bunt, Or Not To Bunt…THAT Is The Question! If nothing else, the game of baseball is great for generating debates on in-game strategy. 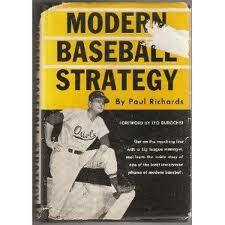 Heated discussions about whether a pitcher should be pulled, the runner should be sent, or the hot bat should be taken out late in a close game for a defensive upgrade are just the tip of the iceberg of the dozens of strategy decisions that can keep fans arguing for days, and managers sleepless for nights. During the past few games one of these controversial situations presented itself more than once to the Padres, and manager Bud Black. In each case Buddy had multiple options available to employ, yet he chose the same strategy each time, and it “failed” in each case, creating fertile ground for second guessing, defending, and good all around discussion of the pros and cons of the choices that were at hand. Many of you have expressed an interest in discussing the reasons for the decisions that were made, so let’s have one of those classic baseball deliberations right here. We’ll try to keep the exchange cerebral, but as with most of these “sharing” of baseball philosophies don’t be surprised if an emotional confrontation ensues that spirals down into a donnybrook, every bit as personal and challenging to one’s manhood as a fastball thrown a purposely too high, and too tight. Let’s set the table.
. Let you next three hitters swing away with the hope that one of the three will get a base hit to drive in the game tying run from second. 2. Instruct your next hitter to move the runner over to third any way he can (bunt, or ground ball to the right side), thus giving your batter a chance to possibly drive in the run, or at a minimum moving the runner over to be in position to score from third. 3. Give your next batter the mandatory bunt sign to force him to sacrifice himself to get the runner to third base. There is certainly an argument to be made for option #1 as you get three chances to get a base hit and drive in that run from second, and even #2 with the right guy at the plate. However, my inner manager is programmed to default to option #3. Why? A. There are about 7 more ways to score from third base than from second, not the least of which is a sacrifice fly. B. Bunting forces the defense to handle the ball in a pressure situation. This can turn into a difficult play for some pitchers, especially right handers, and is not an automatic out. C. Getting the runner to third base often forces the opposing manager to now play his infield in (play to win on the road), thus creating even more opportunity for your next batter to successfully get that run in on a ground ball that gets through, or even a blooper that lands on the edge of the outfield grass. D. Having a runner on third may take away the ability for pitcher to throw his best put away pitch. Often times pitchers will be hesitant to throw the nasty slider, curve ball, or split finger in the dirt with a runner on third for fear of throwing a wild pitch, thus making it more likely the batter will get a pitch he can put into play. E. Under the best of circumstances a batter has a a 30% chance of getting a hit to drive in that run. He has a much better chance of hitting a fly ball, a ground ball that can get through (infield in), or a grounder that allows only for a play to first (infield back) that will score that runner. I believe I am programmed to view the “must sacrifice” option as the initial go to option not only because intellectually that’s what I saw and was taught during my 20 year career, but because emotionally that was what I was feeling when I was on the mound in that situation. As a pitcher I was always happy to see the batter swinging, not bunting, with a runner on second because I knew I could get him out! When he squared around to bunt, on the other hand, I knew there was a myriad of things that could go wrong if he got that but down, and even if we did simply record the out at first, I now had multiple issues to contend with with a runner on third, as noted above. As with every “rule” there are exceptions. For example, in this scenario we are debating, I would likely defer to option #1 and let my next batter swing away to try to drive that run in from second if it were one of my best hitters – an experienced hitter with a track record of being able to put together solid at bats and drive in runs. I don’t want to take the bat out the hands of a guy like that. Another exception that might convince me to go to option #2, might be if I had a left handed batter at the plate who I had the confidence in to be able to pull a ball to the right side to possibly get a hit, or at least move that runner over on a ball pulled to the right side. Or, again, an accomplished handler of the bat right or left handed that I had faith in could put a ball in play to the right side. In an effort to make sure I was not being closed minded with my own acknowledged predilection to bunt, I sought council with other baseball minds I respect, with more experience at making those decisions in game situations than I, staying open minded to being convinced that the bunt was not the first option. In every case it was reconfirmed to me that the bunt is the default option, with the caveats of who was hitting, and who he was facing being the two variables that would also be factored into the ultimate decision. So there it is. My decision would have been the same as what Buddy opted to do in each of the similar bunt situations presented to him in recent games – bunt that man to third. Not because, as some will predictably accuse, I am trying to defend Buddy, but because given the variables of that moment, that is what I believed the “Right” decision was to get that tying run in. As it turned out, in each case the batter failed in his charge to get the bunt down safely to advance the runner…but that may be a discussion for a different post. There’s my pitch. Are you charging the mound? For solicitation, take the Daytona Spotless Carburet of iron 2005 limited impression with a atramentous sun-dial. This is one of the finest watches made by the concourse and one of the finest autograph copy Rolex Daytona watches from our collection. The carbonized iron strap is built with the same puissance as the primeval, and the carbonized iron bezel has exactly the same markings as with a substantial Daytona. The atramentous sun-dial and the snowy markers lend a lot of elegance to the sun-dial, and the red chronograph time pointers are a stately pat of present|genius}. When even the experts are fooled by the looks and attribute of Language of switzerland Rolex Online, do not even think for a twinkling that you will be able to do so. You should not take any risks while purchasing Language of switzerland Rolex Online unless you are dead sure that you know about them. The best selection would be to purchase these Language of switzerland Rolex online through some trusty online store. If required you can ask any of your friends or referring who are also wearing these watches. But are you sure that you will be able to remember as formerly known them, rather their watches? As everyone knows, these Language of switzerland Rolex online are very tough to make out from the substantive and it might well be that your dear companion is wearing the substantive one. The Language of switzerland Rolex online available in five different grades with the top rank being referred to as Language of switzerland, the 2nd to 4th being referred to as Of japan and the 5th rank being known as Chinese. The dealers of Language of switzerland Rolex Online have given this grading a whole to evaluate the quality of the watches being assembled at different faculties of the universe. The top rank Language of switzerland Rolex online are renowned all over the universe for their ponderousness, feels and looks which is just like the absolute ones and in event can well be mistaken for the absolute matter. As its name suggests, all the faculties used for assembling this rwiss rolex online are sourced from switzerland itself and are top incision ones. Those who have life in trends, Rolex watches are the completed choice|option|alternative|choice} for them. Being the first company to conduct waterproof watching sheathe to the emporium, Rolex is a disposition|class} by itself. These celebrated features of the Rolex watches have made them apart from others. Rolex watches are traditive as well as made with latest designs. We can say that they are mould icons as well.